I have been extremely fortunate to spend the majority of my life in the Eastern Sierra and my hometown of Bishop and Mammoth Lakes, California. 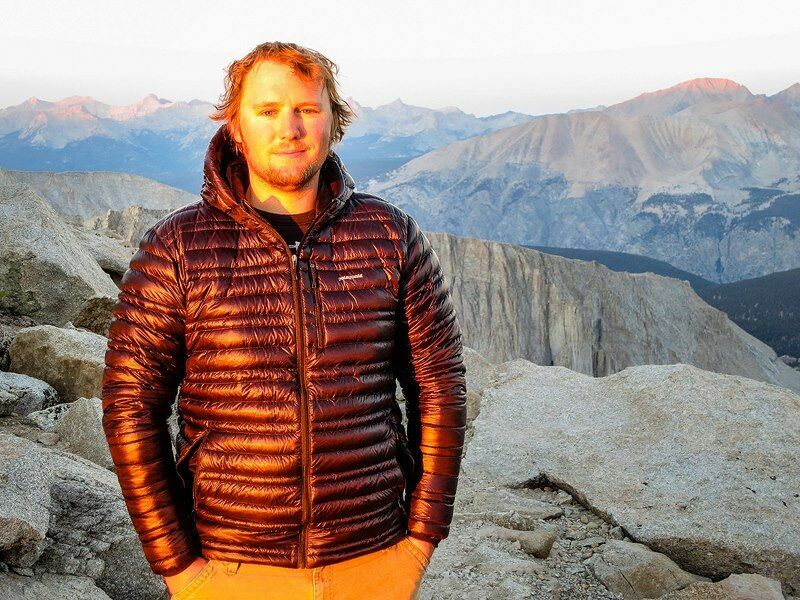 Nestled between the Eastern Sierra and the White Mountains in the Owens Valley, I developed a close relationship with nature as I spent my childhood hiking, camping, and fishing, as well as traveling extensively throughout the American West. As much as glaciers formed the rugged spires of the Sierra Nevada, so too did these mountains form me. In high school I got my first digital camera, a 3mp Canon Powershot. Growing up with the images of Galen Rowell and Ansel Adams, I took to landscape photography like a second nature and quickly realized the limitation of this type of camera. Soon after, I left my home and moved to Boise, Idaho and attended Boise State University. There I was able to purchase my first DSLR, a 6mp Nikon D70, and also began experimenting with film. Hiking, backpacking, and traveling throughout Idaho for 4 years, I was able to hone my photographic skills and develop and eye for composition, color, and light. I would then travel home, back to Bishop and the Eastern Sierra, and apply those new found skills on to the mountains I grew up with. On one fateful day in Yosemite National Park, as a thunderstorm slammed onto the iconic Half Dome, I was able to capture a scene of epic proportions. One that not only changed my life forever, but defined how landscape photography had become an intrinsic part of who I was and who I was to become. A photo, "Yosemite Lightning Strike," that would eventually grace the pages and websites of major news organizations worldwide. As my skills and eye improved, my focus turned to the state of Utah and its many canyons, textures, and light. Here is where my true ambition came to fruition. Studying this unique landscape and the effect of light upon it, I was able to gain an understanding of how the eye and the camera interpret light and composition. After college, I took a job with the United States Forest Service on the Inyo National Forest right in my backyard. I worked on a Wilderness/Trails crew which consisted of numerous nine days stints into the backcountry building trail, restoring meadows, and clearing trails of fallen trees. It was a job that I truly enjoyed as I was able to work, photograph, and give back to an area that has given me so much in my life. Since 2004, there has hardly been a day that landscape photography has not consumed my thoughts and driven my life. I have been lucky enough to have had four exhibitions at the G2 Gallery in Venice Beach, be a featured artist at the Lava Light Galleries on the Big Island of Hawaii, be published in numerous magazines including Outdoor Photographer, and featured on many international websites such as Yahoo, The Daily Mail, etc, as well as having my work displayed on 3 separate occasion in the Smithsonian Museum in Washington D.C. My adventures have led me to photograph wondrous scenes like the paradise of the Hawaiian Islands and the lava pouring into the ocean, the dancing Northern Lights above the Alaskan sky, and 200+ mile backpack along the John Muir Trail. With the support of my amazing wife and an undying motivation to capture and conserve the Range of Light and its' most epic moments, I will continue to bring a new and unique interpretation of the Eastern Sierra, and all landscapes, in the hope of inspiring others to conserve and protect these areas for future generations to come.